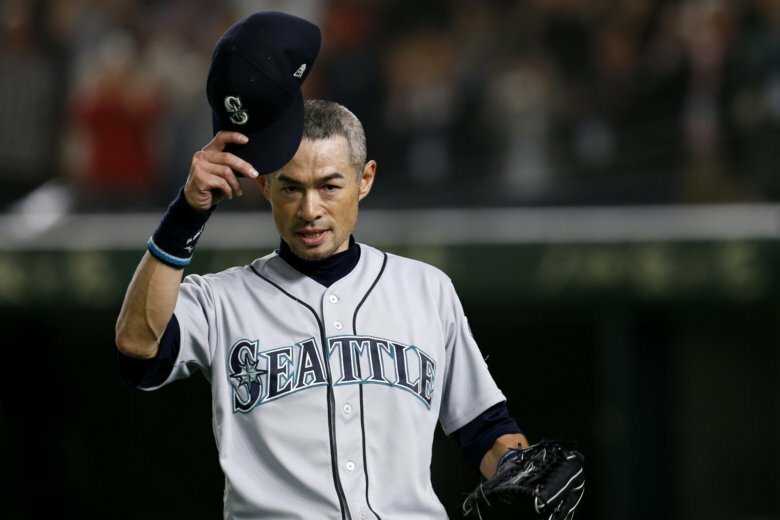 Reaction from the baseball world to the retirement of Japanese star Ichiro Suzuki, who played his final game Thursday with the Seattle Mariners against the Oakland Athletics in Tokyo. “I felt like (Suzuki and Hall of Famer Tony Gwynn) would get in the box, look at me, know where I was and understand, ‘OK, where do I need to hit it to hit it by these people?’ I felt like they were that much in control of what they were doing and that precise with how they could move the ball around. Those are the two guys that I kind of equate. … I swear Ichiro would look down at me, ‘All right, where is he? Where do I need to hit it?’ So I’d just start playing the fool down there, just bouncing around all over the place like, maybe, somehow I can get into his head.” — Yankees manager and former big league third baseman Aaron Boone. “Ichiro Suzuki is one of the greatest baseball players the world has ever seen. He has been married to this game for virtually his entire life — refining and perfecting his craft — and the relationship has been a beautiful one. As an organization we are fortunate to call Ichiro one of our own, and we congratulate him on a truly astonishing career.” — Yankees general manager Brian Cashman. “Ichiro — we started as rookies together and we’re going out together. Always admired the way you approached the game and the great teammate you were to me and so many others. Thank you for everything you’ve done. HOF.” — Yankees pitcher CC Sabathia, via Twitter. “Today a legend, an icon, a great one.. says goodbye to baseball. Thank You Ichiro, for your respect and dedication to the game we love so much. See you soon in Cooperstown.” Hall of Famer Vladimir Guerrero, via Twitter. “Right when I came up, he was like a mentor. When you first come up in the big leagues, you’re quiet and you’re watching, you’re learning, and that was a guy I was able to watch how he prepared for every game, how he got ready, how he stretched. From the time he got to the field to the time he left, he was a professional. It was pretty incredible to watch.” — Former teammate Justin Bour.